ROSEMEAD, CA. 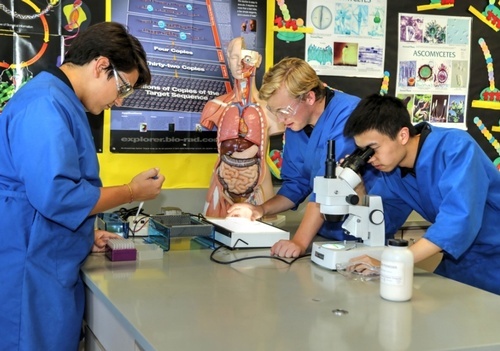 – February 1, 2019 - Don Bosco Technical Institute (Bosco Tech) will host an admissions information night for prospective students and their families on Thursday, February 28, at 5:30 p.m.
Middle and elementary school students will learn more about Bosco Tech’s unique engineering and applied science curriculum while meeting instructors and current students. The school’s new Biological, Medical & Environmental Technology (BMET) program, an addition to school’s five existing STEM majors, will be featured. Information on summer school, shadow visits, and financial aid will be available. Contact Director of Admissions John Garcia at jgarcia@boscotech.edu or 626-940-2009 for information about the event or about the school.